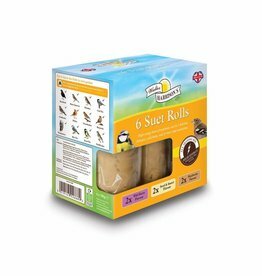 Coconut suet, suet blocks, mealworms and fat ball wild bird treats. These are a nourishing treat, rich in protein and may be given separately as a treat or mixed with other wild bird food. Tom Chambers Giant Suet Log - Berries and Wild Bird Food. 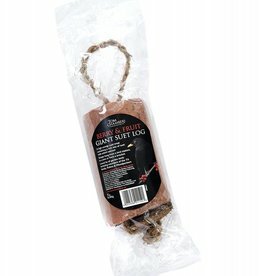 Contains a rich mix of suet, berries and fruit. All high energy ingredients. 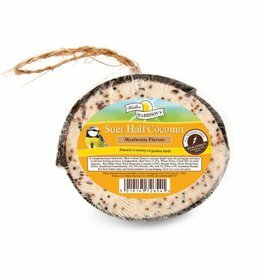 Tom Chambers Half Coconut Suet & Seed Wild Bird Feeders, 4 pack. 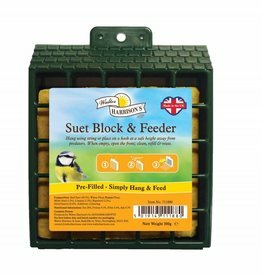 A bumper pack of this traditional style feeder, filled with a nutritious mix of suet and seed. 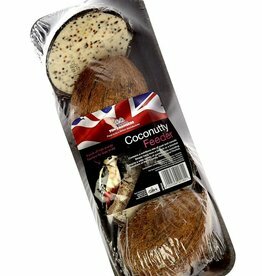 Harrisons Half Coconut Suet Feeder is a high energy treat suitable for feeding all year round. Can be hung from a branch or feeding station. A popular way of feeding suet. 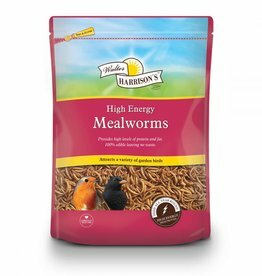 Harrisons Mealworms are irresistable to Robins and other popular garden birds and provide high levels of essential protein and fats. Tom Chambers Peckerballs - Mealworm Suet Balls with Wild Bird Food. 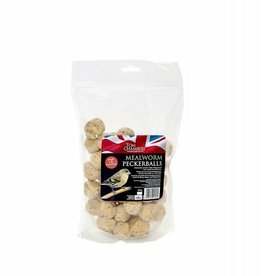 A 1 kilo pack of mini suet balls with a tasty protein rich mealworms. Harrisons great value pre-filled suet feeder. 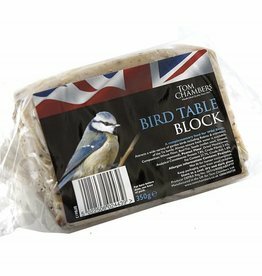 Complete with seeds and insect flavour suet block. 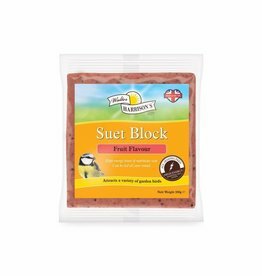 Harrisons Suet Block with Added Fruit is a high energy boost of nutritious suet. Can be fed all year round. 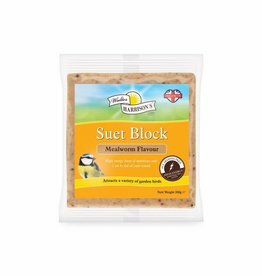 Harrisons Suet Block with Mealworms is a high energy boost of nutritious suet. Can be fed all year round. 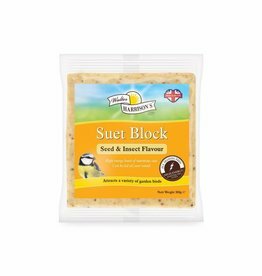 Harrisons Suet Block with Seeds and Insects is a high energy boost of nutritious suet. Can be fed all year round. 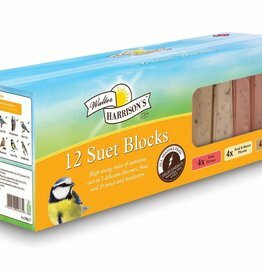 Harrisons Suet Blocks are high energy boost of nutritious suet in 3 delicious flavours; fruit, seed & insect and mealworm. Packed with energy and essential oils. 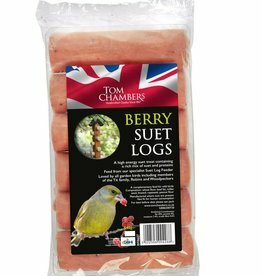 Tom Chambers Suet Log - with Berries and Wild Bird Food. These 'log' shape foods contain insects and high energy suet. A bumper pack of 6. 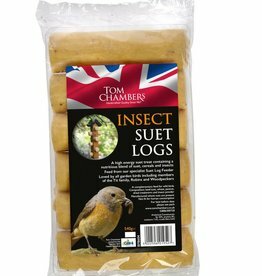 Tom Chambers Suet Log - with Insects and Wild Bird Food. These 'log' shape foods contain insects and high energy suet. A bumper pack of 6. 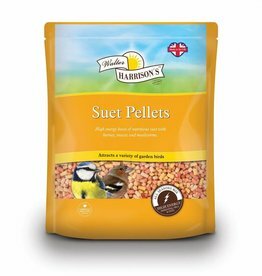 Harrisons Suet Pellets are packed with energy and essential oils, Suet Pellets are 100% edible, meaning no waste and no mess. 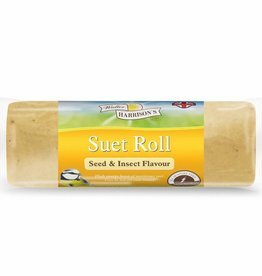 Harrisons Suet Roll Seed and Insects is a high energy boost of nutritious suet. Can be fed all year round. Harrisons high energy boost of nutritious suet in 3 delicious flavours; wild berry, seed & insect and mealworms. Harrisons Suet Roll with Mealworms is a high energy boost of nutritious suet. Can be fed all year round. Harrisons Suet Roll with Wild Berries is a high energy boost of nutritious suet. Can be fed all year round. 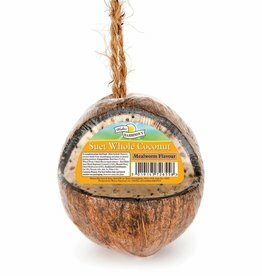 Harrisons Whole Coconut Suet Feeder is a high energy treat suitable for feeding all year round. Can be hung from a branch or feeding station. 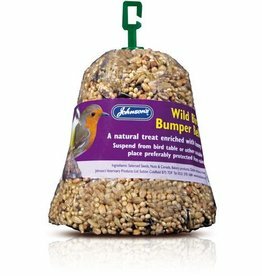 Johnsons Black Sunflower Bumper Bell is an extra large sized treat for wild birds, containing a delicious mix of seeds, nuts and honey. Wild Bird High Energy Bell Selected seeds, including sunflower.